According to J.D. Power and Associates, the majority of consumers conduct online research before purchasing a vehicle. According to Consumer Reports, the average amount of time spent on online research before purchasing a vehicle is 7 hours. To drive RV shoppers to your dealership inventory, you have to attract their attention while they’re online doing researching their RV purchase. 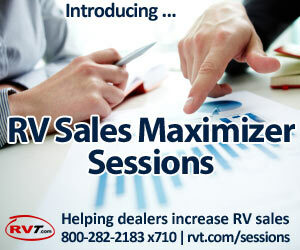 By targeting the key words most commonly used by consumers to search for RV information online, RVT.com’s new AdWords program for RV dealers can drive quality local traffic to your RV inventory by significantly boosting consumer traffic to your dealership listings on RVT.com. For the extremely affordable price of just $129 per month (a fraction of the thousands of dollars per month typically charged for AdWords campaign management), RVT.com’s experts will optimize an AdWords campaign that is specifically tailored to drive search traffic to your RV inventory from a specified geographic area. AdWords is a proven marketing tool that has already proved its effectiveness in building ad traffic. AdWords runs on Google, the world’s most popular search engine, where more than a billion searches are performed every day. Tapping into that powerful data stream, AdWords is able to direct maximum search traffic to your RV dealership inventory, maximizing lead generation. AdWords allows RV dealers to precisely focus their marketing reach by targeting specific regions, states, counties or cities. AdWords can also be targeted to attract inquiries within a specific radial distance from the location of your RV dealership. 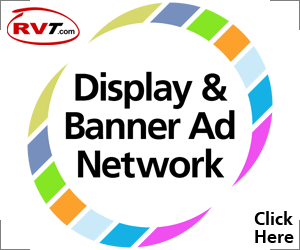 Because of RVT.com’s existing advertising infrastructure, your AdWords campaign can be up and running almost immediately. With the experts at RVT.com handling the monthly management of your AdWords account, you don’t have to be an IT wizard to add AdWords to your current marketing program. With so much to gain, what are you waiting for? 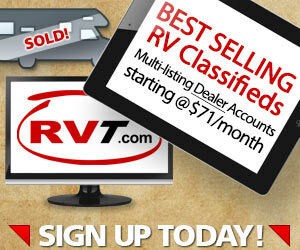 Click here to find out more about RVT.com’s AdWords for dealer classifieds.